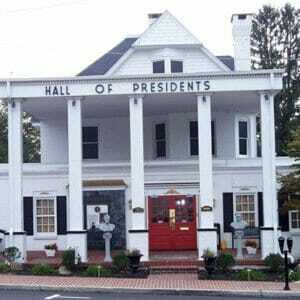 The Hall of Presidents Wax Museum is located in Gettysburg, Pennsylvania. The location features the area’s only complete Wax Collection of American presidents and their First Ladies. 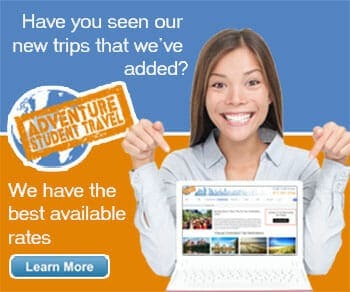 The student group may want to browse the gift shop as well. The students will get to view exquisite background murals that show the development of America. These works were done by Charles Morganthaler. Your group will get the opportunity to see our Commanders in Chief themselves relaying their own stories in words along with stirring music. These individuals who symbolize our nation, in whose hands our forbearers entrusted their welfare, in their own words speaking from their own lips tell about the following: “The Story of Your Land,” This is your heritage,” The Story of the Presidents, and The Story of America. The Museum also contains a wax collection of the First Ladies. The hall presents authentic 1/3 size wax replicas of the First Ladies wearing their inaugural gowns. The dresses are from a famous Smithsonian Collection and are portrayed on the petite sized First Ladies, who have been created to depict the same hair style and divine look that they displayed during the presidential inauguration. The students will be fascinated by this one-of-a-kind Wax Museum.